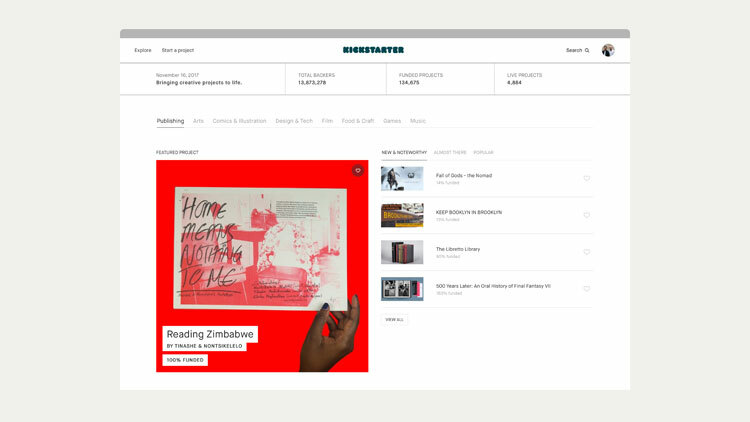 New York-based studio Order has created a new visual identity for the crowdfunding platform, which sees a “bulkier” word marque and a darker green and black colour palette introduced. 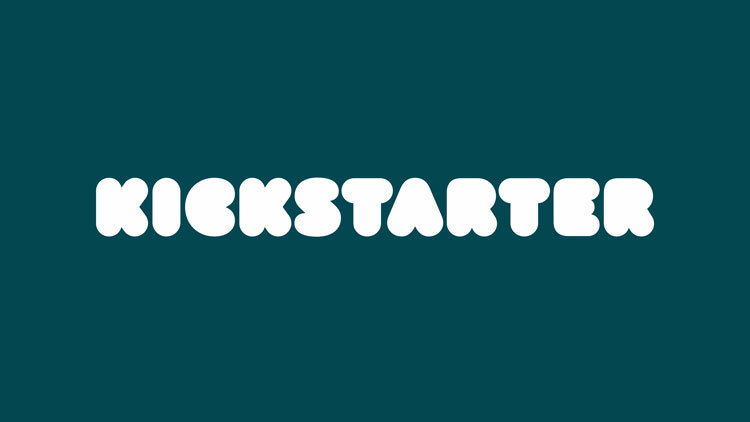 Crowdfunding platform Kickstarter was founded in 2009 with the aim of enabling everyone from designers to filmmakers make their passion projects a reality, while not having to be at the beck and call of investors. The online platform works by allowing people to pledge money if they like a project, usually in return for some kind of reward or offer. If the funding target is reached by the deadline set by the creator, then all of the money raised goes towards helping bring the project to life. If it falls short of the target however, then no one is charged at all. 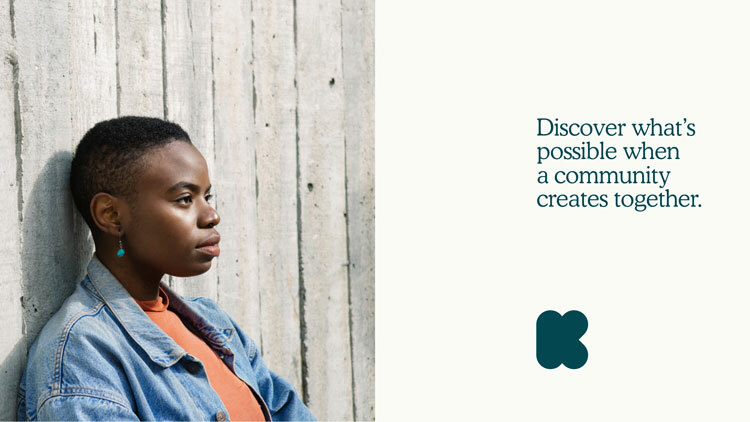 Since it was founded, Kickstarter has successfully crowdfunded over 135,000 projects in this way, with 14 million people backing projects and $3.4 billion (£2.5 billion) raised in total. 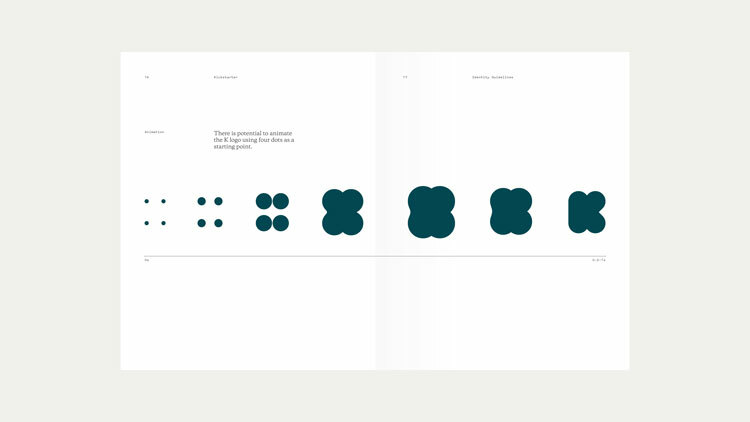 New York-based studio Order – which has previously funded all of its Standards Manual reissues through Kickstarter – has fittingly just completed a rebrand of the company, working with its in-house design team. 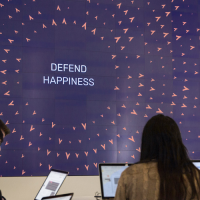 The new branding looks to move away from the “childish feel” of its previous identity, says Order partner Hamish Smyth, which used the same typeface as American fast-food chain Dunkin’ Donuts. “Crowdfunding has matured and evolved since its early days, and we thought the brand needed to reflect that,” Smyth adds. 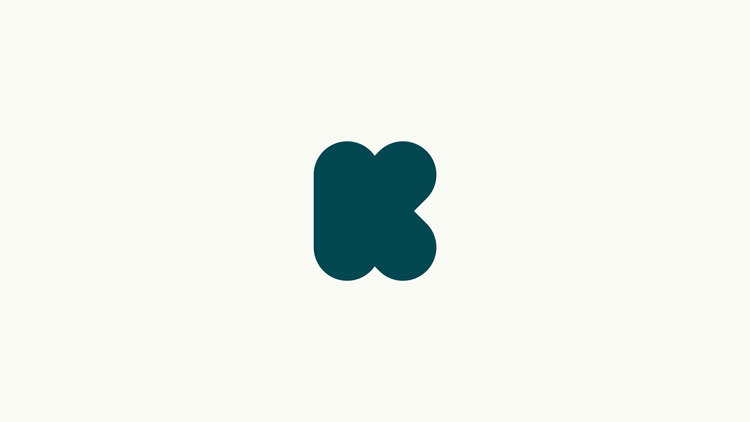 Another aim was to differentiate Kickstarter’s branding from its competitors, such as the “bland and corporate looking” Indiegogo identity, and GoFundMe’s logo that “looks like a high school art project gone wrong”, says Smyth. 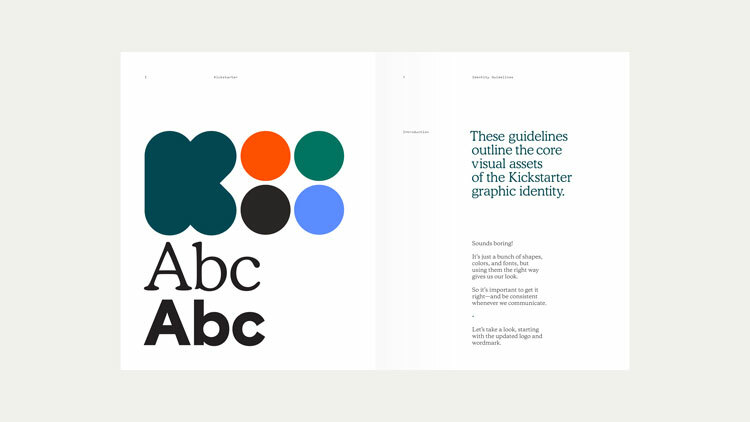 The focal point of the new identity is a “K” word marque that is “bulkier” than its previous iteration, says Smyth. 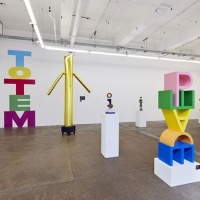 The updated logotype also retains its rounded letterforms, which have been developed by Order in collaboration with designer Jesse Ragan, who is one half of type foundry XYZ Type. 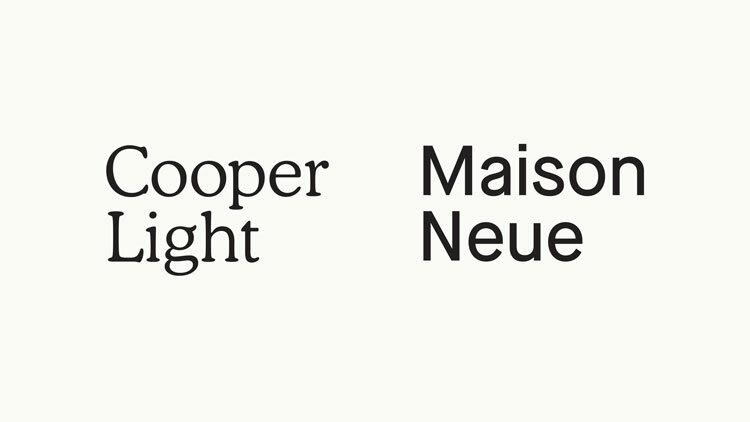 The studio has chosen Maison as the primary typeface, as well introducing a serif typeface called Cooper Light. 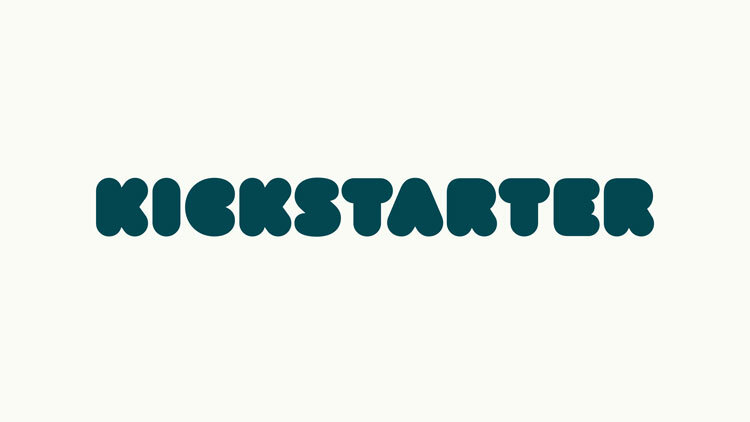 “Even though Kickstarter gets thrown in with other tech companies, they really are not the same. It wouldn’t have felt right to give them a sans-serif typeface next to an icon, as many tech companies have recently done,” explains Smyth. 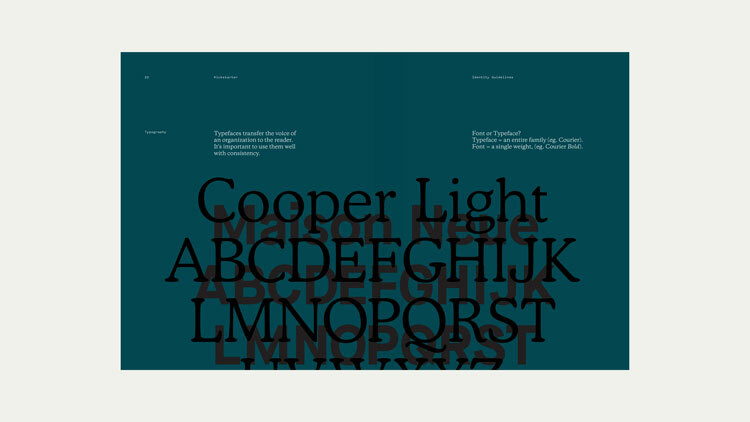 The company’s previous colour palette of “RGB” green has been ditched for a darker, jade green that plays into its more “mature” look, says Smyth. 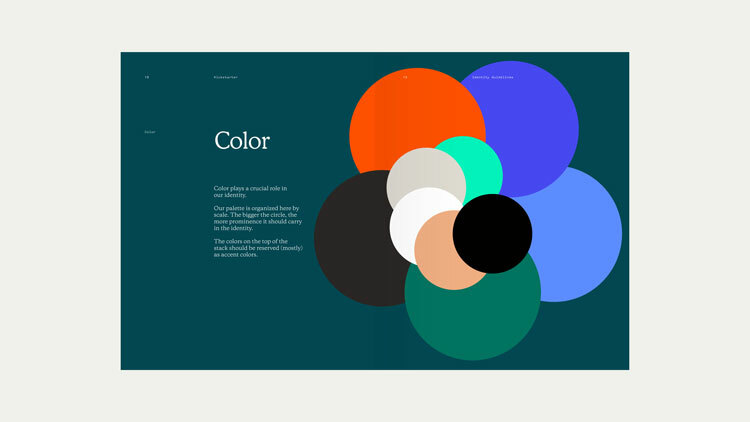 Secondary colours that have been incorporated include black and a lighter green. 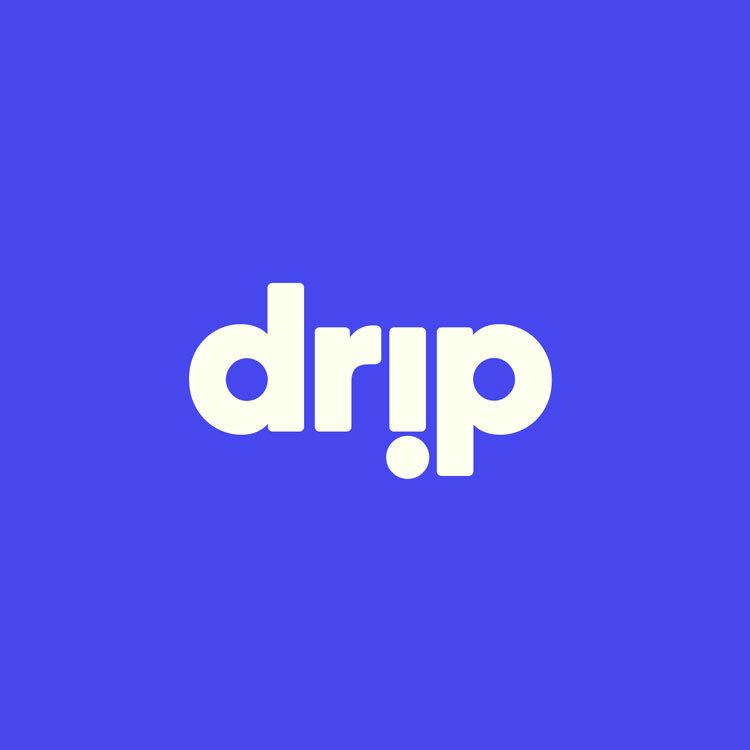 Order has also designed a new identity for Drip – a subscription-based crowdfunding platform recently acquired by Kickstarter – which uses an upside-down “i” symbol as a visual metaphor for dripping, and incorporates a vibrant purple brand colour. 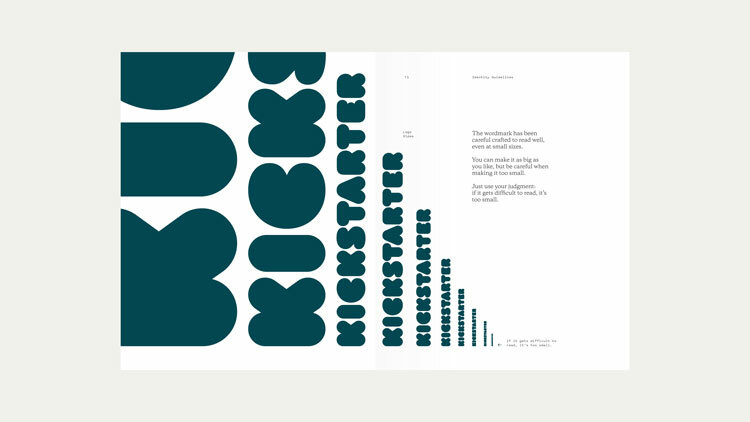 The identities for Kickstarter and Drip have both rolled out across all touchpoints.